History of Ross Township Ross Township was named after an assistant judge of the Pennsylvania State Supreme Court. In 1817 Ross Township was formed from a division of Chestnuthill Township and named after a very prominent citizen, Judge John Ross of Easton, Pennsylvania. John Ross was appointed Assistant Judge of the Pennsylvania Supreme Court in 1825. He had lived on the Ross Common Manor Estate (located south of Saylorsburg) which was originally built in 1787 by his father, Jessie Ross of Bucks Township, who used it as a hunting lodge. John Ross died in 1834 and today is interred at a small family cemetery located on the Ross Common property. Ross Township grew as settlers passed north through the Wind Gap pass in the 1700’s. Saylor’s Lake, a natural lake, became a summer resort and the location of a winter ice cutting industry. A major brick factory also operated in Saylorsburg in the late 1800s and early 1900s. 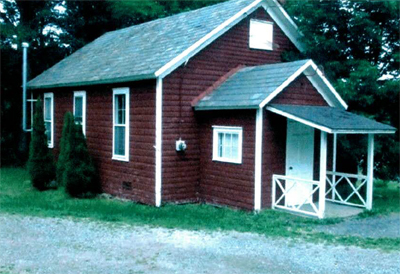 Ross Township, has major sites and structures that have historical significance. These places have been identified by the Monroe Township Planning Commission as part of its Township-wide inventory of historical sites and structures. These historic places represent a presence of the past. They add charm and interest to Ross Township and the West End, and every effort must be taken to insure their continued protection and preservation in the future.